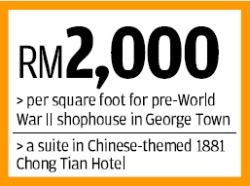 THE cost of buying a pre-World War II shophouse in George Town, Penang, has reached RM2,000 per square foot — equivalent to the price of the poshest Kuala Lumpur City Centre (KLCC) condominium units. An entrepreneur, who declined to be identified, has just paid RM4mil for a 2,000sq ft shophouse along Lebuh Pantai (Beach Street) in order to continue an existing business located on the premises which she had been renting. Before 2008 — the year George Town was jointly listed with Malacca as Unesco World Heritage Sites — pre-war shophouses in Penang were generally going for about RM200,000 to RM800,000 depending on size and location. In 2009, an unrestored shophouse of 10ft by 36ft in Lorong Chulia only cost RM150,000, but the asking price has since jumped to over RM300,000 of late. Now, the asking price of even the smallest shophouse that spans only 11ft by 30ft in Lorong Toh Aka is already RM600,000. Nearby, in Lorong Carnarvon, one unit of 17ft by 100ft has been sold for RM1.2mil, while Lebuh Amernian shophouses can fetch RM3mil each. 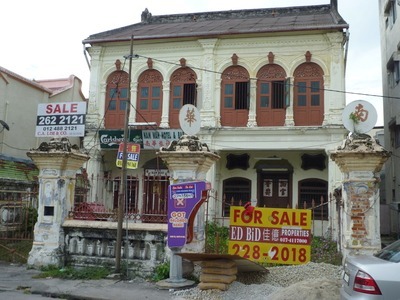 Contrary to the popular notion that foreigners and investors from Kuala Lumpur are pushing up prices of Penang heritage property, recent transactions show that Penang investors are the ones who are buying in a substantial way. This is particularly true among those who have lived abroad and recognise the heritage value. Stand tall: Bought for RM2mil in 2008, Campbell House in Jalan Campbell is a 10-room hotel owned by Malaysia-born Nadya Wray and her Italian husband, Roberto Dreon. According to informed sources, one businessman from Bukit Mertajam recently snapped up RM20mil worth of pre-war property, including shophouses, in one day. Even derelict property is now seeing interest. The defunct Nam Wah Hotel & Bar, located at a prime location in Lebuh Chulia, was sold for RM7mil last year. The property comprises double-shophouse units with a land area of 14,000sq ft. Such shophouse properties are often turned into “heritage” hotels, charging an average of RM300 to RM400 per room per night. Local entrepreneur Seah Kok Heng, 42, says he spent RM3mil in 2008 to acquire three derelict, triple-storey shophouses located at Rope Walk or Jalan Pintal Tali. Then, he spent another RM10mil to restore and transform the adjoining units into the Chinese-themed 1881 Chong Tian Hotel, where certain suites sell for over RM2,000 a night. 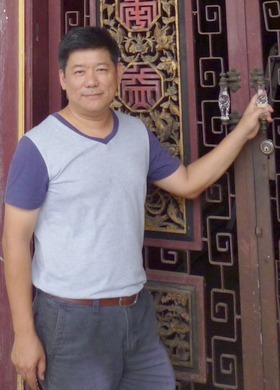 Probably the best-known heritage projects are by Penang-born businessman Christopher Ong, who has lived in Australia, as well as in Sri Lanka, where he once operated an award-winning hotel. Together with business partners, he now owns and operates Muntri Mews, a nine-room hotel, which was formerly a stable on Lebuh Muntri. Sold: The Nam Wah Hotel property on Lebuh Chulia was sold for RM7mil recently. This street has some of the finest Straits Eclectic shophouse facades in George Town. Ong, who is in his late 40s, is currently working on similar projects on Lorong Stewart and Lebuh Noordin, among other sites in George Town. He also used to own a colonial-era double-storey detached house built located on Jalan Clove Hall. It was recently sold for close to RM8mil to Penang-born Jim Lim Teik Wah. Having lived in the UK for 40 years, Lim has returned to settle in George Town together with his English wife, Jo. Another row of nine shophouses in Jalan Ariffin, just off Jalan Transfer, has been bought by a local lawyer for an undisclosed sum. The units are being restored for another hotel project by the owner. The Penaga Hotel project — which occupies Jalan Transfer, Jalan Hutton, and Lebuh Clarke — is another well-known development owned by veteran architect Hijjas Kasturi and his wife Angela, who reportedly spent RM50mil on it. Obviously, such properties have also been bought by investors from Kuala Lumpur and from overseas. Old is gold: Located within the heritage zone, the centre shophouse (painted in yellow and white) in Lorong Carnarvon was sold for RM1.2mil while the derelict unit on the left sold for about RM700,000. Bought for RM2mil in 2008, Campbell House in Jalan Campbell is a 10-room hotel owned by Malaysian-born Nadya Wray and her Italian husband, Roberto Dreon. Nadya’s mother’s great-granduncle was Tunku Abdul Rahman, Malaysia’s first Prime Minister. No. 23 Love Lane is another multi-million ringgit restoration project owned and funded by the art-loving wife of a former Cabinet Minister from KL, who declined to be named. While such buyers are tight-lipped, especially over the total costs of their acquisitions, lumber yard entrepreneur Gooi Kok Wah, 43, has no qualms about revealing the reasons for acquiring such properties. The Nibong Tebal-based businessman has been eyeing and buying such shophouses since 2008, after the Unesco World Heritage Site listing. Apparently, that declaration fuelled the interest of astute locals as well as “outsiders” including Swiss, French, Australian and Singaporean investors. “Current prices for such properties in prime areas like Beach Street can command RM2,000 per square foot, and RM1,000 per square foot and above, for touristy areas such as Chulia Street, Love Lane, Muntri Street, Stewart Lane and certain heritage core zone sections. Good buy: In the middle of 2011, Gooi paid about RM2mil for his double-storey shophouse at Lebuh Kimberley. “And even in less known areas like Prangin Lane, the asking price is at least RM400 per square foot,” explains Gooi, a former accountant. To-date, Gooi has bought six pre-war shophouse properties. 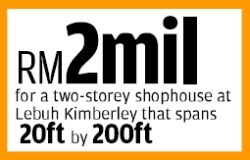 His latest RM2mil purchase was for a two-storey shophouse at Lebuh Kimberley that spans 20ft by 200ft, with a built-up space of 6,000sq ft. He points out that George Town World Heritage Incorporated — an organisation under the State Government — listed only 3,800 units of pre-war shophouses in the heritage core and buffer zones on the island. The core zone covers an irregular-shaped area of 109 hectares on the north-east section of the island city. It is bounded by the sea on side and cocooned by the heritage buffer zone on the other side. The buffer zone covers 150 hectares. The core zone is roughly hemmed by Pengkalan Weld, Jalan Tun Syed Sheh Barakbah, Lebuh Light, Lebuh Farquhar, Lorong Love, Lebuh Carnarvon, Lorong Carnarvon, Lebuh Melayu and Gat Lebuh Melayu. “Such heritage property is in a classic supply-and-demand situation. The supply side is limited and cannot be increased in tandem with the increase in demand,” says Gooi. “Furthermore, supply can and will be reduced, due to accidents like fire and vehicle mishaps. “There are also cases of misguided re-development, with insensitive modifications or illegal alterations destroying the heritage value of such property, as well as neglect and natural deterioration. “However, demand is always increasing due to business opportunities with the increasing number of tourist arrivals as a result of more low-cost flights from other countries. Born in Nibong Tebal, Gooi has lived and worked in London, Glasgow and Jakarta as well as Kuala Lumpur, Klang and George Town, before deciding to relocate back to his hometown. With his latest shophouse, the entrepreneur intends to restore the Kimberley Street property for his city residence. As to the costs involved in restoring such shophouses, Gooi says there is “no limit on the expenditure for heritage-building restoration” . One factor that contributed to the current high prices for pre-war shophouses in George Town can be traced to an incident at the High Court in Penang on Sept 29, 2010. On that day, a property auction by CIMB Bank attracted an unusually large crowd of over 70 people. 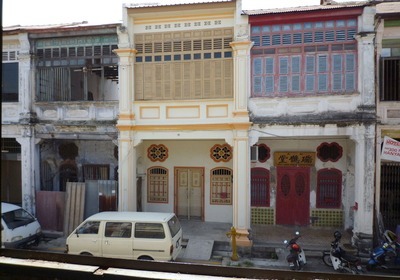 The highlight of the sale was an unrestored shophouse of 20ft by 125ft located on Armenian Street. There were only five actual bidders including Gooi. The reserve price was RM450,000 and furious bidding pushed the price up to an astonishing RM1.1mil, setting a new benchmark in Penang. The eventual buyer was a veteran real estate consultant. And that property is now reputed to be worth at least RM2.6mil, as it is, without any restoration. Observes Gooi, “Penang heritage houses and their strategic location are a unique combination. The value of pre-war shophouses still hasn’t been fully realised. “One thing for sure, prices will continue to go up,” predicts Gooi, who is still on the prowl for such “heritage” property. There have been efforts by the local authorities and Federal Government-backed bodies like Think City, a special-purpose vehicle established by Khazanah Nasional Bhd, to help enhance the heritage value of these old buildings. These organisations aim to engage stakeholders to improve the environment by maintaining the right architectural features as well as improve cleanliness and the drainage system, encourage more greenery, build pedestrian walkways and offer tourism attractions. WHILE new buyers of Penang’s pre-war shophouses wax lyrical over the romantic notion of restoring and staying in a “heritage” home, those who grew up in such houses, don’t fancy living in one again. 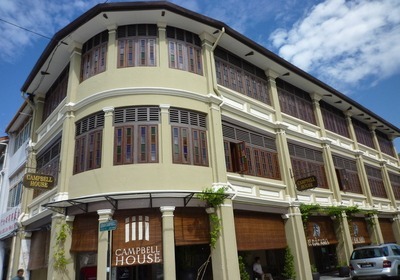 Tune Hotels strategic developments director Anwar Jumabhoy, from the well-known Indian Muslim Jumabhoy family in Penang, recalls less than romantic memories of living in an old shophouse. “Yes, I do remember living in Jalan Greenhall, Penang, just off Lebuh Light,” says Anwar, who is in his 50s. He is bemused that new buyers are willing to pay so much money to restore such shophouses and even want to live in them. “In those days, we were one of the few houses with a toilet inside and I used to watch in amazement at the ‘night soil’ trucks that used to come in the morning, and kids — without toilets — had to do their ‘business’ in the street. To the jetsetting corporate executive, a terraced house in those days meant, no windows except for the master bedroom. And the courtyard or air well was where the toilets and kitchen were located — at the back of the house. For a young child, going to the toilet at night was a scary experience especially through dimly-lit and long corridors. “Now, would I consider living there again? Not really, wooden floors, rickety stairs and a very, ‘nice’ attic,” says Anwar. “With options available today for modern comfort, the nostalgic experience might be nice for a couple of days, no more. A Chinese owner of a new double-storey, linked-house in the upscale neighbourhood of Seri Tanjung Pinang, who declines to be named, says she doesn’t ever want to go back living in an old shophouse. She grew up on Lebuh Kimberley. “Why would I ever want to live in such a home again? There’s not much privacy especially when you have a big family,” says the mother of a teenage girl.